Dr. Brad Smith is a licensed psychologist and Associate Professor of Psychology at Belhaven and has been teaching and consulting internationally in the area of mental health and Christian counseling for the past twenty years. He is the former Director of Strategic Innovation for the Mission Advanced Research and Communication Center of World Vision International. He currently serves as the Catalyst for Global Mental Health and Trauma for the Lausanne movement. Brad is a certified instructor in both Adult and Youth Mental Health First Aid. Together with Institute Fellow Dr. Fred Gingrich, he co-edited the Journal of Psychology and Christianity: Special Issue on Psychology in the Global Context. He was an editor for the 2017 book Global Mental Health and the Church. He and Fred Gingrich are currently writing a book entitled Global Mental Health: Expanding the Transforming Mission of the Church for InterVarsity Press. Dr. Amy Rex Smith is currently leading the Institute’s Jackson Health and Mental Health in Churches Study which is assessing churches perceptions of needs and their capacity to respond. She is Professor of Nursing at Belhaven University where she directs the RN to BSN Program. She taught for twenty years at the University of Massachusetts at Boston—a diverse urban university—made up of a student body where more than 25 languages are spoken. In 2015, she was named the top nurse educator in Massachusetts by the American Nurses Association. Amy is currently on the Board of Nurses Christian Fellowship International (NCFI) and is one of the curriculum developers and trainers for the Art and Science of Spiritual Care course which provides spiritual care training from a Christian worldview world-wide. Amy holds certifications both as a spiritual director and as a Faith Community Nurse. Her research interests include the American Association of Critical Care Nurses’ Synergy Model, spirituality and health in the acute care setting, prayer and coping with cancer, and the role of the Faith Community Nurse in End-of-Life decision making. As Program Coordinator, Kim Campbell is focused on developing the Institute’s communications efforts and website as well as managing Institute events like Mental Health First Aid and the day to day Institute office operation. Kim is a 2017 graduate of Belhaven University with a degree in Intercultural Studies. She began working at the Institute in the summer of 2016 as a work-study helping prepare for the fall 2016 Summit and then transitioned into her new role after graduation. Kim has lived internationally and traveled extensively. She is deeply involved in local ministry having volunteered in prison ministry to youth offenders, and is currently working with children and families in West Jackson. As Global Network Coordinator, Kathryn Eltzroth’s current focus at the Institute is on cultivating global networks around the role of churches and other faith-based organizations in mental health including Lausanne’s Global Health and Trauma Network. She graduated from Belhaven in 2016 with an International Studies major and Psychology minor and has been with the Institute for nearly three years. Beginning as a work-study and then as Program Coordinator, she organized and conducted interviews for the Jackson Area Church, Health and Mental Health Project. She also served on 2016 Mind, Body, Spirit Summit team, and co-authored an article with Dr. Smith in the recent Global Mental Health and the Church book. She currently resides in Cardiff, Wales with her graduate student husband. Dr. Barbara Johnson currently serves as Founding Dean of the Belhaven University School of Nursing. She has over 35 years of experience in nursing education, health care administration, public health, and nursing practice. Dr. Johnson is a published author and researcher. She has served as principal investigator of nationally funded research projects focusing on health literacy and community empowerment as a means of overcoming health disparities. She has been involved in numerous presentations and projects focusing on topics ranging from classroom engagement methodologies for educators to victimization of victims of sexual violence. In addition, Dr. Johnson has been recognized for her work in distance learning and online program development. She recently co-authored a chapter on Health Policy in The State of Health and Health Care In Mississippi. Dr. Johnson holds degrees from University of Mississippi and Georgie State University. She is a pastor's wife and worship leader. She is very active in women's ministry and is a highly respected presenter in this area. Dr. Johnson is a member of many nursing and health related organizations including the Mississippi Nurses Association, the American Nurses Association, Sigma Theta Tau International Honor Society of Nursing, and Nurses Christian Fellowship. Dr. Gladys Mwiti has worked for over 20 years in the field of trauma, and family and personal counseling. She founded Oasis Africa with a purpose and commitment to bring healing to many hurting communities in our world, and to build leadership committed to integrity and accountability. Dr. Mwiti holds an M.A. in Counseling Psychology that she earned in Nairobi as well as an M.A. in Christian Leadership and her Ph.D. in Clinical Psychology from Fuller Theological Seminary. She is the author of four books and a video based training curriculum for counselors in Africa, produced in conjunction with Fuller Seminary. She is currently the chair of the Kenya Psychological Association and the Catalyst for Global Mental Health and Trauma for the Lausanne Movement. Angela Gaddis has practiced professional social work for over twenty years. Her practice has included program development in Washington DC through the Baptist Convention, administration of outpatient mental health facilities, and consultant with members of military and their families addressing the emotional impact of deployment. 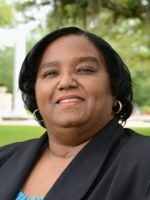 She has served on the MS Chapter of National Association of Social Workers Board of Directors for twenty years, including president-elect and president for three years. Other board positions include Joni and Friends of Mississippi. Angela has taught social work for fifteen years. Her nine years at Belhaven University has included the development of the social work department and its accreditation process. Research has been focused on child welfare and human trafficking. Honors have included recognition by the United States Army, the Mississippi Air National Guard, and the Mississippi Higher Education Appreciation Working for Academic Excellence Award. She is currently serving as chair of the Social Work Department at Belhaven University. Dr. Ulrich Giesekus is Professor of Counseling Psychology at the Liebenzell International University of applied Science in Germany. A doctoral graduate of US International University, San Diego (now Alliant International University) and the University of Delaware (M.Ed., B.AS) , he has been involved in research and teaching on Christian counseling for many years and authored numerous books. His special interest in intercultural and interreligious aspects serves well within the missions context of Liebenzell University, formerly a Missions Theological Seminary and now part of Liebenzell Mission. The Mission cooperates with many partner organizations worldwide. Giesekus is the academic director of the M.A.-course “Integrative Counseling” at Liebenzell University. He was director of the first “International Conference on Global Mental Health and the Role of the Church” in 2015 with speakers and participants from over 20 countries. The former track leader of the “Global Issues track” at several AACC World Conferences is now involved in the “Christian Care and Counsel” track of the Lausanne Movement, a global missions network. Dr. Fred Gingrich is Professor of Counseling and Chair of the Counseling Division at Denver Seminary. Together, with his wife, Dr. Heather Davediuk Gingrich, a psychologist, he spent eight years in Manila, Philippines where, with the support of the Narramore Christian Foundation, they developed the only doctoral program in Christian counseling outside of the USA which was offered through the Asia Graduate School of Theology. Fred spent his early years as a missionary kid in Japan and then Kenya and his teen years and young adulthood in Canada. As noted above, Fred and Brad have collaborated on editing the JPC Special Issue on Psychology in the Global Context and are writing a book for InterVarsity Press. Dr. Heather Gingrich is a Professor in the Counseling Division at Denver Seminary and has taught in her native Canada, the Philippines, Guatemala, and other countries. She has over 30 years of clinical experience and specializes in working with victims of complex trauma. Heather has degrees from Carleton University (Canada), Wheaton College Graduate School, and the University of the Philippines. She spent 2 ½ years in Karachi, Pakistan as a missionary kid and, with her husband Fred, was a missionary professor in Manila, Philippines for eight years. Her areas of expertise include trauma and abuse, counseling skills, diagnosis, counseling theories, research methods, and social/cultural foundations of counseling. She also supervises practicum students, interns, and students writing theses as well as serving as a case consultant, and conducting pre-field assessments for missionaries. Heather is a frequent conference speaker and has written Restoring the Shattered Self: A Christian Counselor’s Guide to Complex Trauma published in 2013 by InterVarsity Press. 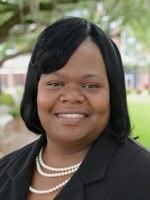 Dr. Tina D. McDyess is an Assistant Professor at Belhaven University where she teaches in the Pre-licensure BSN Program. She has over 10 years of nursing experience and 7 years of teaching experience. Her nursing experience includes psychiatric-mental health, alcohol and drug detox, geriatrics, and child and adult medical-surgical. 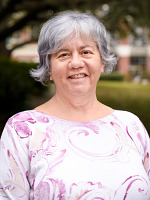 She is the course coordinator of the Spirituality in Health Care course at Belhaven University School of Nursing. Tina holds degrees from University of Southern Mississippi, University of Mississippi Medical Center, and New Foundation Theological Seminary. She currently serves as an Ordained Minister at the Spiritual True Holiness Church of God. She speaks at conferences in the areas of spirituality and health. Tina is a member of the Mississippi Nurses Association, the American Nurses Association, Sigma Theta Tau, and the American Association of Colleges of Nursing. She was recognized as one of the authors of the article, “Psychometric Examination of the Daily Spiritual Experiences Scale” in the Journal of Cultural Diversity. Dr. Scott White is professor of psychology at Belhaven University and has been a licensed clinical psychologist for over 25 years. Prior to teaching at Belhaven University he was the managing partner of a group private practice and chair of the ethics committee of the South Carolina Psychological Association. Scott’s clinical experience includes private outpatient practice, hospital psychological evaluations and providing brief therapy to soldiers and their families on military bases. Scott’s academic experience includes conducting empirical studies with students which are regularly presented at professional conferences. He has published articles in the Journal of Psychology and Theology, The Journal of Psychology and Christianity and the Home School Researcher. Scott’s international experience includes developing an HIV/AIDS prevention program on the island of St. Vincent and providing training to counselors and social workers working with victims of human trafficking in Cambodia. Over the past four summers he has provided training to Hard Places Community, Daughters of Cambodia and the New Life Church.